Easy, Quick climbing checkpoints without long menus. NEW VERSION !!! 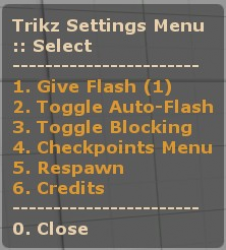 Manages your trikz server for you! Many features! Can be used on bhop and climb maps too!